From January through May, New Energy Works Timberframers will travel across the eastern US, sharing the age-old craft of timber framing with patrons of home tradeshows. 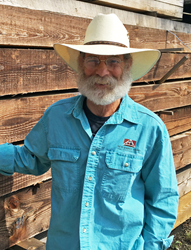 Drake, New Energy Works TImberframer's Mid-West Representative will be on-hand at each timber home show to share ideas, answer questions, and talk the craft of timber framing. Timber Home Shows are the place to see, feel, and smell the wood. New Energy Works Timberframers plans for a busy Spring on the road, exhibiting at Timber Home Shows in six states beginning with Tennessee in January and ending in New York in May 2018. The New Energy Works team will invite the shows’ attendees into their updated exhibit sharing their timber frame design and build expertise, fresh project images, and their new 2018 project calendar. Those wanting to learn more about timber frame design and build are encouraged to attend any of the Timber Frame Home Show events. There are a number of Timber Show tickets available from New Energy Works. Contact them directly for further information and details. Wherever you are in your home journey—fact-gathering as you search for land, selecting the partner company and craftsmen to build your dream, or if you are the builder or architect—you’ll find what you need at the Log & Timber Home shows and seminars. New Energy Works Timberframers have been designing and building environmentally responsible timber frames across the USA for nearly 30 years from their facilities in New York and Oregon. Offerings include: Timber Framing (design, engineering, manufacturing, build), Enclosure Systems, Fine Woodworking, Recycled and Sustainable wood products. New Energy Works has LEED AP staff members, is a member of the Timber Framer’s Guild, the US Green Building Council, and is FSC Certified. New Energy Works is unveiling a new timber frame booth exhibit full of visual examples of the flexibility and craft of timber framing.New Energy Works is unveiling a new timber frame booth exhibit full of visual examples of the flexibility and craft of timber framing.